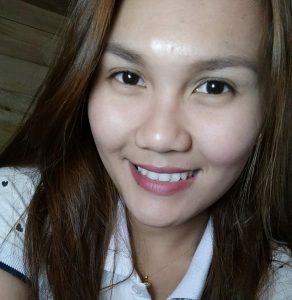 Hello, my name is Rezel Wong… happily married and a proud mother of two active kids – a 5yr old daughter and a 3yr old son – and this is my story. In 2013 I graduated Bachelor of Science in Food Technology. I was very excited then because there was a job lined up for me. But then suddenly, I fell pregnant right after my graduation. I felt sorry for myself, and especially my parents at that time, because I know they had high hopes from me but it seemed like I let them down. I knew that they had worked hard just to send me to school. Now that I’m a parent I understand the struggles and sufferings that my parents had to face just to provide for our needs. That’s when I started thinking: what can I do to help my husband when it comes to finances without leaving my kids at home? A friend told me that they were having a 4 week skills training session on how to be a successful Virtual Assistant. I told myself “This is it! This is what I’ve been waiting and praying for.” Working as a Virtual Assistant is my way to have my own career without having to sacrifice my time with my family. I remember, when I was taking part in the training as a Virtual Assistant that I didn’t have any idea (actually, zero knowledge) about computers! I didn’t even know how to install simple apps. But, when I looked at my kids I felt a surge of motivation to learn. My kids inspire me to learn more and strive harder. After a month of training, I started as a Social Media Manager/ Marketing Virtual Assistant, and I found my passion! Now I am proficient in a wide array of software programs including social media channels; however I never stop learning new skills such as office and administrative tasks, transcription, email management, and simple graphic work using Canva. I know I don’t a huge amount of experience, but with my dedication, reliability, commitment and driving work ethic I could be a great Virtual Assistant for you. I am always open to new opportunities and willing to learn new skills to make my client’s business grow and profit. I do believe in my favorite memory verse, Philippians 4:13 “I can do all things through Christ who strengthens me”. For a copy of Rezel’s resume please click here.